The Smartec® ZT Drive System is Hydro-Gear's latest innovation in drive-by-wire technology. The Smartec® Electric ZT is a zero emission transaxle with the same reliability that you've come to expect from Hydro-Gear. The SMARTEC® Electric LT is a zero emission transaxle designed for maximum efficiency, safety, and ease-of-use. The deck system created by the SMARTEC® team utilizes two brushless DC motors with enough power to cut the densest grass. 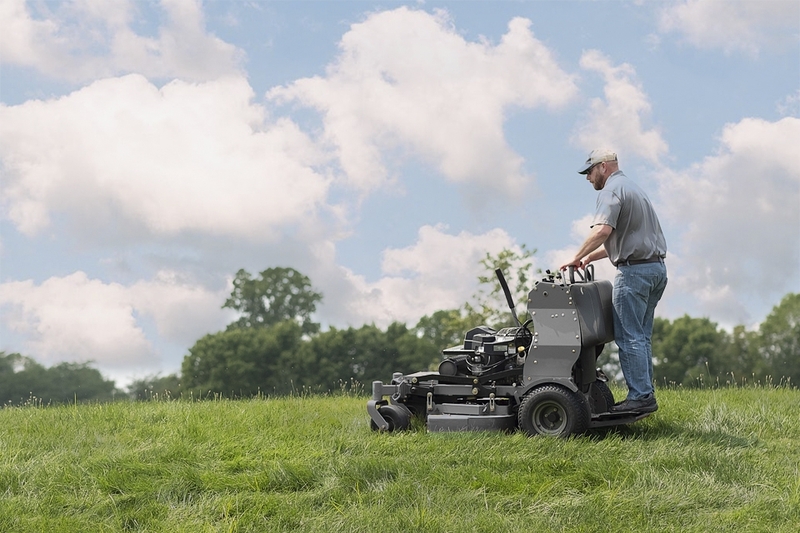 Using a machine equipped with the SMARTEC ZT DRIVE™ system gives you the ability to individualize performance settings to the way you like to mow. Customization is easy through MyMow™, a personalized performance interface that stores an unlimited number of settings for the same mower such as forward and reverse speed, acceleration and overall control. It is the first time this level of detailed and precise tuning has ever been possible for your mower. This system includes an optional Dynamic Stability Assist module that automatically monitors and adjusts the mower’s performance across 9 axes of motion. This pioneering innovation eliminates the need to periodically adjust the zero turn mowers’ tracking control linkages. Even more importantly, your mower will intelligently self-correct its heading for straighter mowing and improve controllability on gentle slopes. Smartec has developed the MowNet™ system software, a new innovation where all components are integrated with easy plug-and-play connectivity, simplified wiring, and on-demand upgradability. The SMARTEC MyMow™ App is being developed and includes a Personalized Performance Interface. The MyMow App will allow performance management and troubleshooting at your fingertips. With the simple use of a tablet or smartphone, customization and adjustment will be possible. The first mower drive system that incorporates customizable and intelligent performance while maximizing your comfort, efficiency, and capability. The Smartec ZT Drive system eliminates existing complex linkages with simple connections incorporating machine intelligent performance.